25 Things You Didn't Know About the Making of "Star Trek Into Darkness"
Star Trek Into Darkness is the most anticipated blockbuster of the season. Between the expected hysteria from the franchise's cult following to the hype generated by the mere presence of director J.J. Abrams, the film has been utterly ubiquitous for the past few months. However, despite all the media attention, there are still some fun facts the eager audience members don't know about the surefire hit. 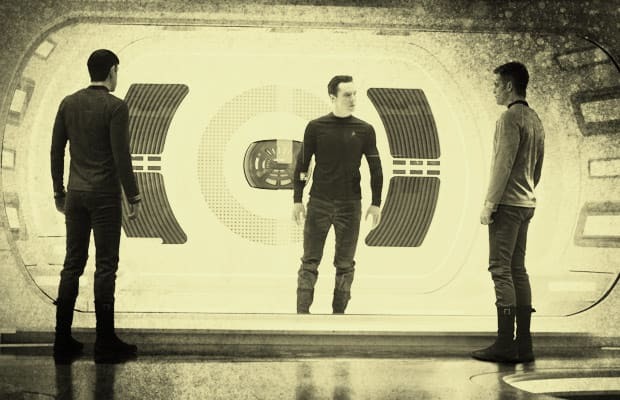 Which is why we bring you: 25 Things You Didn't Know About the Making of Star Trek Into Darkness.